Department of Art | Thank you Carrie Ann and Noah! Home » News » Thank you Carrie Ann and Noah! Thank you Carrie Ann and Noah! The Department of Art was well represented amongst the artists at the 2015 Paint Around Gala & Auction. 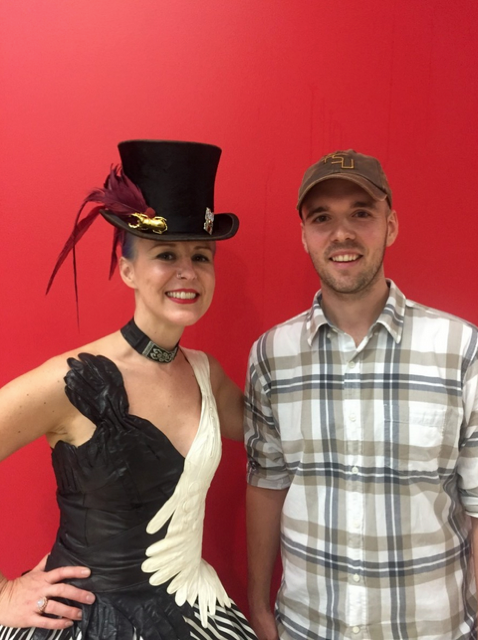 Thank you to FSU Art’s faculty, Carrie Ann Baade and Noah Verrier! Go to http://cfa.fsu.edu/2015-paint-around-gala-auction-2/ to see many other photos of the event.